It is safe to ask the question, who is the Carven girl? Her identity had its down moments lately and that comes after a true result of poor creative direction. The last time Carven sparked sensation was when Guillaume Henry -now the current designer at Nina Ricci – injected youthful chic into the historic, but not very meaningful label. 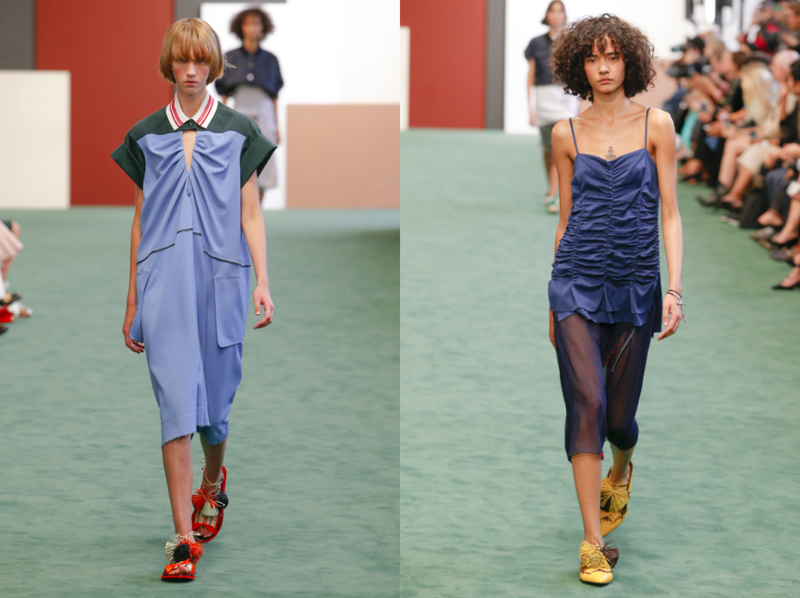 So enter Serge Ruffieux, an alum of Sonia Rykiel, who had an eight-year long tenure at Dior (he worked under Galliano, Gaytten, Simons and finally as the main designer with Lucie Meier before Maria Grazia Chiuri entered the house). Carven is a perfect place for a designer to develop creatively, because it’s not a fully established brand with hundreds of stores; moreover, its style codes are free of interpretation. 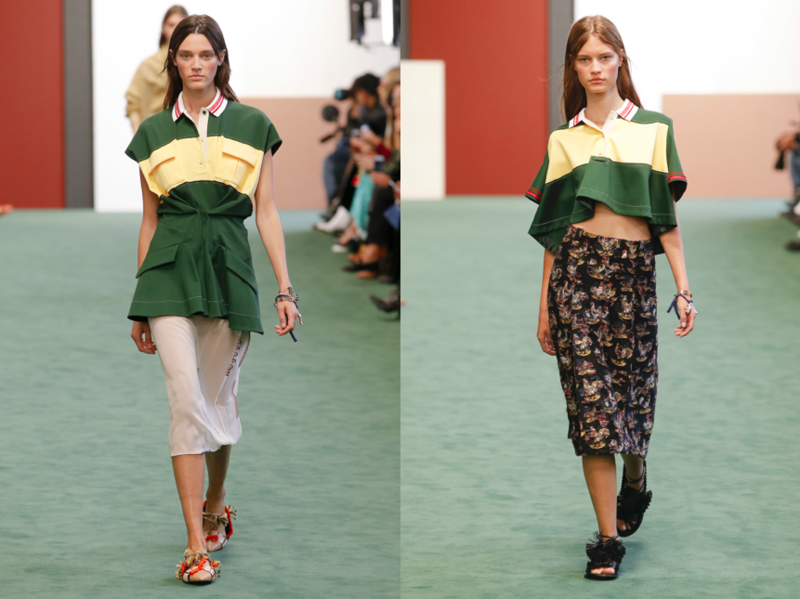 Still, Ruffieux decided to revive Carven’s signature colour – green. Shooting jackets, mid-length skirts, edgy crop-tops were kept in nearly every shade of green, from dark olive to light pistachio. But their was also the trending pastel pink, as if there’s no way to escape it this season. The collection of shoes played surpassingly well from the tasseled, Gommino-style sandals and loafers looked great up-close. In overall, the collection was a safe debut, filled with smartly fitted pieces. Over all – the Carven girl has gone. Bring back the sparkle, Serge. This entry was posted in Paris, Trend Reports and tagged CARVEN, paris, paris fashion week, pfw, Serge Ruffieux, SS18. Bookmark the permalink.